Out of the gate and off for a walk went Hairy Maclary from Donaldson's Dairy... Ever since Hairy Maclary first trotted out of the gate and off for a walk, he has been adored by millions of children and adults all over the world. For the very first time, Lynley Dodd's ten classic stories starring Hairy Maclary are brought together in this treasury book. It also includes a CD with each tale specially introduced by Lynley Dodd herself. 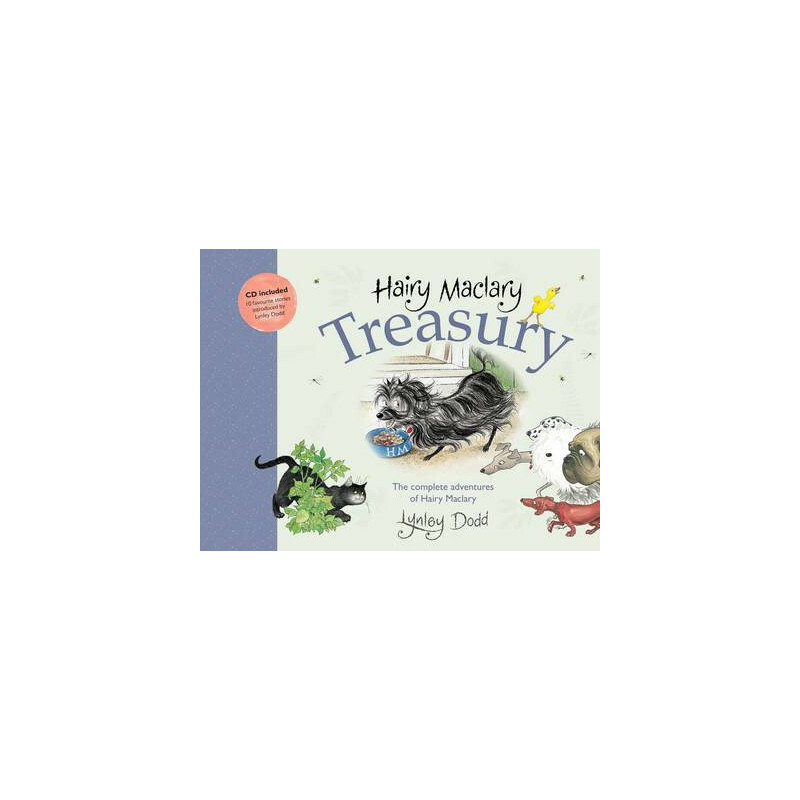 The Hairy Maclary Treasury is the complete collection of Hairy Maclary's mischievous and mad adventures, which children will love to read and listen to over and over. The complete collection of Hairy Maclary stories is as follows: Hairy Maclary from Donaldson's Dairy; Hairy Maclary's Bone; Hairy Maclary Scattercat; Hairy Maclary's Caterwaul Caper; Hairy Maclary's Rumpus at the Vet; Hairy Maclary's Showbusiness; Hairy Maclary, Sit; Hairy Maclary and Zachary Quack; Hairy Maclary's Hat Tricks; Hairy Maclary, Shoo.